Mr Charles Fenner has held the position of Principal of the Ballarat School of Mines and Industries since November 1914. Throughout his appointment he has fulfilled his duties with a zeal and enthusiasm that merit the highest praise. He is an organized man of exceptional ability and his keen insight into the needs of technical education has enabled him to place the departments under his control on a higher level of efficiency than they have ever before reached. In his lecture work Mr Fenner has had charge of the Geological branch of the School and his labors therein have met with marked success. In the Technical Schools' examinations in Geology, Mining Geology, Petrology and Mineralogy, the examiners have on each occasion specially commented on the excellence of the work done by his students. He has made a special point of the field work, which has become a very popular part of the students' curriculum, and in all branches the economic bearing of the subjects taught has been continually stressed. Mr Fenner has also prepared students for the Geology Examinations (Science and Arts Courses) at the Melbourne University, and there, too, his students met with more than ordinary success. He has the power of inspiring in his students a love for the subjects he teaches. Mr Fenner's brilliant University record speaks for itself. He is a cultured gentleman, and combines with the qualities of decision and tact a charming personality that has made him exceedingly popular with the Staff and students. 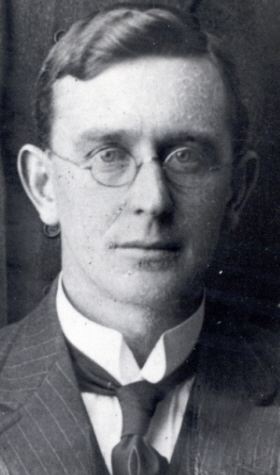 In 1916 Fenner accepted the position of Superintendent of Technical Education in South Australia, a position he held until 1937. During that time Charles Fenner completed research work for his D.Sc and later lectured in geography at the University of Adelaide. Fenner was appointed Director of Education in 1937 and held that position until his retirement in 1946. Always interested in geology and geographical subjects Charles Fenner won the Sachse Medal in 1919, the David Syme research prize in 1929 and John Lewis Medal in 1947. He was a frequent contributor of articles to journals and newspapers on these and Australian historical subjects, and was joint-editor of the 'The Centenary History of South Australia. Charles Fenner married Emma Louise Hirt in 1911 and they had five children. Their son, Frank, won world-wide acclaim for his work on the ecology of disease. Best known for his work in eradicating smallpox and the control of Australia's rabbit plague Frank Fenner was also among those who joined the great Nobel Prize winning scientist Macfarlane Burnet in his pioneering work on antibodies. In his ebook Frank Fenner begins: I have chosen the title Nature, Nurture and Chance: The Lives of Frank and Charles Fenner, because I think that the first three words encapsulate the three elements that determine the lives of all humans. In one way, quite apart from the changes in the world around us, my father and I have had very different careers, yet my life, of which I know much more than I could hope to find out about his, clearly demonstrates the great importance of all three. This biography prepared by Clare Gervasoni, November 2010.